Extreme jumps are a lot of fun. Unfortunately, not all of us are fit enough to pull them off. 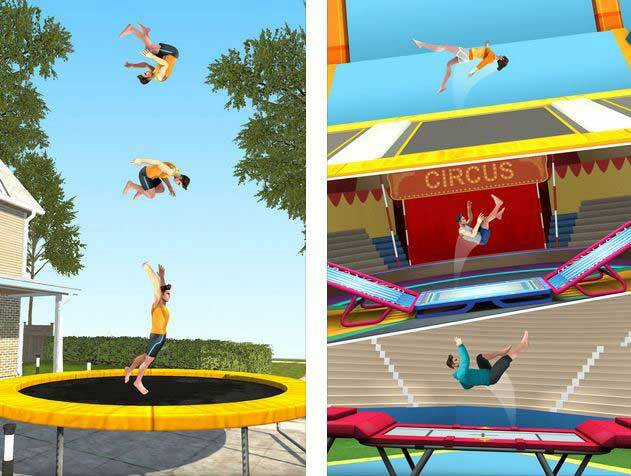 Flip Master for iPhone is a trampoline game that lets you try backflips, frontflips, jumps, and bounces on your phone. You get multiple locations to choose from. As you play the game, you get to unlock even more tricks. You can customize your characters and try power ups to have even more fun. The game has fun graphics and lets you record your best moves to share with others.